Vandergriff Chevrolet is your trusted Arlington, TX resource for reviews of the 2013 Chevrolet Malibu. It's hard to find the hard facts all in one spot. Vandergriff Chevrolet arranges these reviews so you have the best resources from the best writers. This Chevrolet review article contains everything you need to know about the Malibu and it's specifications, mpg and more. 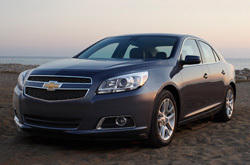 Is the 2013 Malibu right for your family? Continue reading and find out! By examining the 2013 Chevrolet Malibu alongside the 2013 Nissan Altima, Kia Optima, Mazda6, Ford Fusion and the Honda Accord, and you can see that the Malibu outperforms those autos in many zones. Catch a glimpse of the hightlights below. Vandergriff Chevrolet auto repair service in Arlington, TX is only a click away! Your Chevrolet deserves to be treated properly - that means Chevrolet factory- trained technicians, actual 2013 Chevrolet Malibu parts, and the sense of bliss that comes from a 12-month service work warranty. 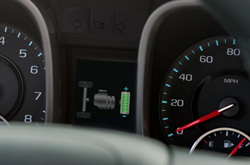 The skilled technicians at our Chevrolet repair shop in Arlington, TX will help your Malibu run problem free. We can handle a situation as straightforward as an oil change, or handle involved car service and repairs like Chevrolet timing belt replacements, transmission rebuilds, and strut and shock repairs. Vandergriff Chevrolet is your choice in Arlington, TX for quality, professional Chevrolet repairs and routine maintenance. Get started on your next appointment by selecting a money-saving service coupon.